Oracle Agile PLM helps your business manage your products throughout their lifecycle. To push Oracle Agile PLM’s capabilities even further, you can easily integrate it using Magic xpi without any coding required. Create mappings between the systems once with simple “drag, drop and configure functionality” and Magic xpi will automate your PLM integration in the background including Work Orders, BOMs, ECOs and Master Item Data. Companies need to integrate information from a variety of sources to improve efficiency throughout their supply chain. Every transaction typically touches several systems, including an organization’s CRM, ERP, manufacturing resource planning systems and financial systems. In many cases, information also needs to be shared with parallel systems owned by customers, partners and suppliers. By adding an integration platform or middleware layer, you can unlock the complexity and information flows can be automated and shared more quickly. 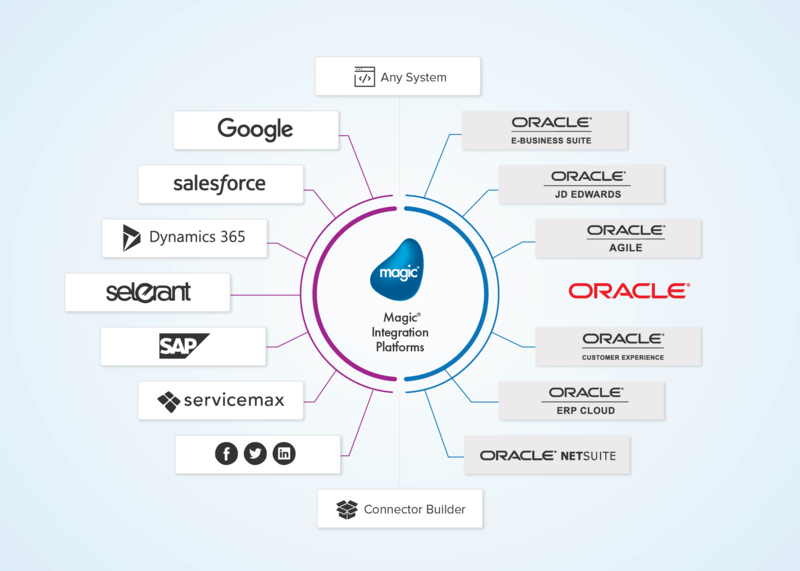 Christie used Magic’s Oracle-validated EnterpriseOne connector to integrate its Oracle JD Edwards ERP with its Oracle Agile PLM system to improve the flow of information and keep both systems up to date.